President Donald Trump, speaking to reporters on Wednesday morning on the South Lawn of the White House, lambasted special counsel Robert Mueller’s Russia investigation report, suggesting the investigation had ulterior motivations. Trump said the inquiry was “started illegally,” and that it was “crooked,” per reporting from NBC News. “There were dirty cops, these were bad people,” Trump said. He listed off as examples former FBI Director James Comey and former FBI Deputy Director Andrew McCabe, both of whom Trump had fired. Trump also named former FBI agent Peter Strzok and former FBI lawyer Lisa Page in his remarks. Trump also suggested that the investigation was performed in order to undermine his presidency, and remove him from office. Trump provided no evidence of such claims, that the investigation was an attempted coup, in his remarks to reporters. It was a stark departure for the president, who just a few weeks ago was celebrating the supposed findings of the Mueller investigation. Following the special counsel submitting the report to the Justice Department, Attorney General William Barr wrote a four-page summary letter to Congress. Trump immediately lauded Barr’s letter as proof that there had been no wrongdoing during his presidential campaign, with regards to allegations of collusion with the Russian government or obstruction of justice of the inquiry itself. 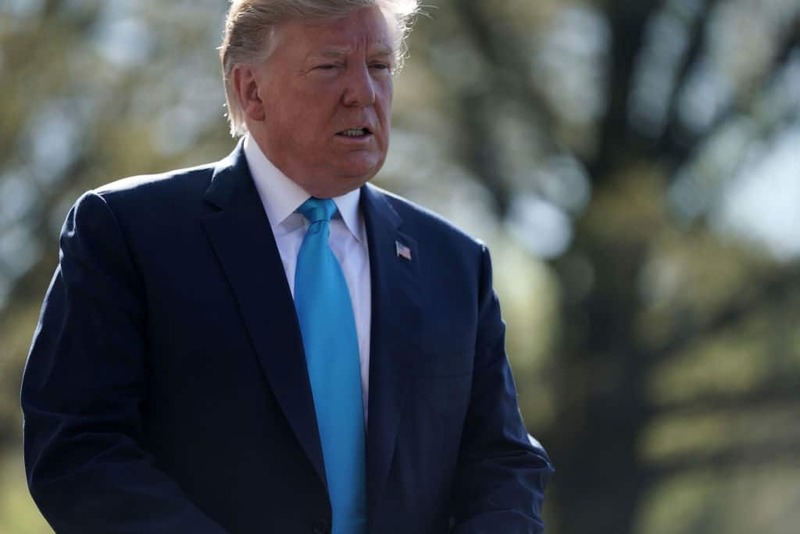 “No Collusion, No Obstruction, Complete and Total EXONERATION,” Trump wrote in a tweet after Barr’s letter was released. Trump was so confident in Mueller’s findings, based off of Barr’s letter, that he even suggested he’d be fine with the full report being made public to the American people, should Barr deem it proper to do so. “Let it come out. Let people see it — that’s up to the attorney general,” Trump said, according to New York Magazine. In recent days, however, Trump’s words have demonstrated he’s not as thrilled about the report’s findings after all, especially after leaks came out last week that showcased how investigators involved in the probe did not share the same attitudes or beliefs of Trump’s “complete and total exoneration” that Barr seemed to indicate Mueller had signaled. Trump, for instance, recently tweeted his disdain of demands by Democratic lawmakers for the report to be made public. “The Democrats will never be satisfied, no matter what they get, how much they get, or how many pages they get,” Trump said.